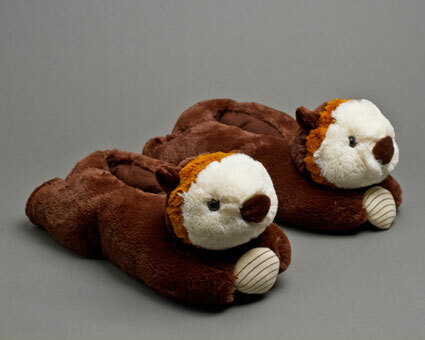 If you're looking for adorable footwear - consider the otter. 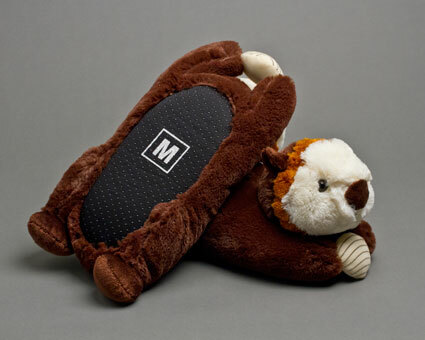 Rendered in a warm shade of brown, with an offsetting strip of orange on the head, these ultra-plush slippers are lined with a slip-free, no-skid base. 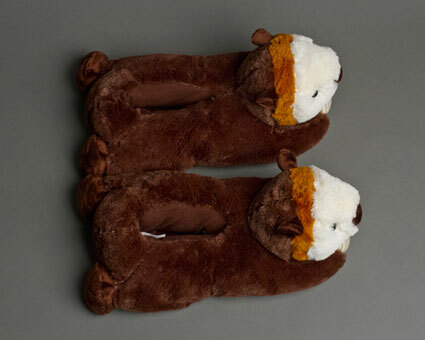 True to the species' playful nature, the otter slippers are adorned with a striped balk between their paws. 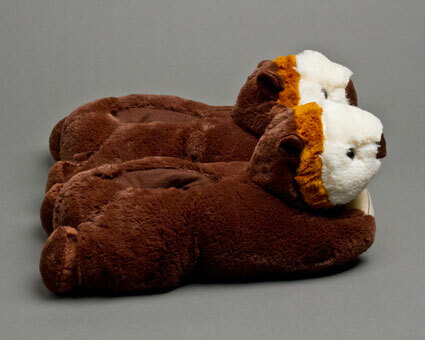 Adorable and comfortable, you otter get some! 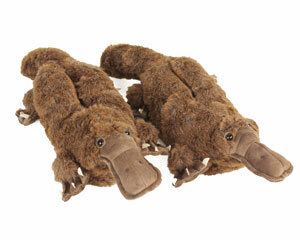 Disadvantages: They're not real otters! Great quality. Looks like advertising. Adorable. Looks like an otter. 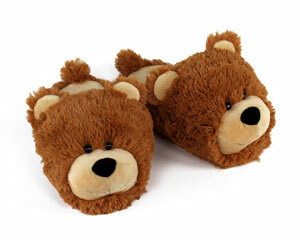 I am absolutely in love with these slippers!!! Disadvantages: They are out of stock right now. My 23 year old daughter who is studying to be a marine biologist loved her otter slippers for her birthday! Thanks for quick shipping! 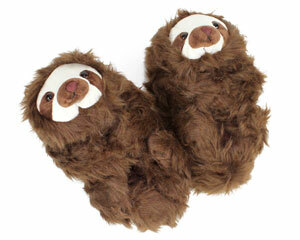 Got these slippers for my wife - otters are definitely are mutual animal guides. Anyway, the slippers fit perfectly and were shipped in jig time. Very happy with the product and the service. Very happy with the ease of ordering and prompt delivery. I would absolutely recommended them. Advantages: Warm and comfortable. They came in the mail quickly. 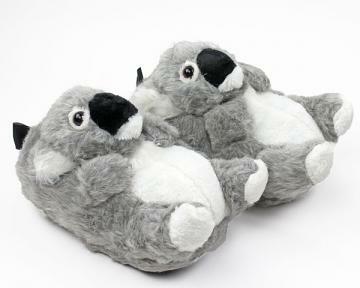 As an otter lover, I thought having otter slippers was just a dream, one that was far out of paw's length. My heart was cracked like an oyster against a rock, until BunnySlippers came up on my search. Within days, my feet were my furry best friends and I was happier than a river otter with a mudslide.